This month, soft drinks commentator Richard Corbett looks at Coca-Cola's most successful brand extension and ponders its relevance in today's soft drinks arena. When the medals are handed out for the most popular and influential soft drink launches ever, then Diet Coke - or Coke Light, as it is known in some markets - would have to be in the top ten. It may even make it onto the podium. When the Coke extension was launched more than 30 years ago, it had every bit as big an impact as the Rubik's cube, Spielberg's ET and Michael Jackson's Thriller. The product quickly established itself around the world as a must-stock brand and attracted an army of loyal customers. Back then, the assumption was that the likes of Magnum and Burt Reynolds did not watch their weight and Diet Coke was positioned at a more feminine audience. Over the next few decades, this strategy was brilliantly executed. The first of the Diet Coke hulks, Lucky Vanous, arrived into the Diet Coke adverts back in 1994 and designers including Jean Paul Gaultier have been recruited to cement the brand's fashionable status among a female audience. The feminine bias of the drink has not just been a strength, however, it has also proved to be a weakness. The strategy of targeting women was so successful that, for some men, buying Diet Coke became a stigma. They might not be quite so open about it, but men also look in the mirror and there was a sizeable demand from the male segment of the market for a low-calorie or zero-calorie Cola CSD. Arriving a decade or so after Diet Coke, Diet Pepsi Max - as it was known until late 2008 when the 'diet' was dropped - stole a march on its rival by adopting a much more masculine appeal. The dark colours and advertising campaigns directly appealed to men, so much so that there is evidence that many men were drinking Pepsi Max without realising it was a 'diet' drink at all. The 'his and hers' tactic became increasingly outdated. In fairness, Coca-Cola recognised this Achilles heel and, in 2005, the company unveiled Coke Zero. The mission was very much to recapture the initiative and to win back the weight-conscious men who had migrated to other low-calorie alternatives because Diet Coke had been a little on the 'girly' side for them. Coke Zero has prospered but there has inevitably been some cannibalisation with Diet Coke. Last month, The Coca-Cola Co launched a new push in the UK for the newly-formulated 'Coca-Cola Zero Sugar', which was altered to make it "taste more like Coke". The Coke Zero reformulation may currently be exclusive to the UK, but it begs the question, what is the role of Diet Coke if there is a low-calorie alternative to regular Coke that tastes more like the 'original'. Surely the original brief for the first Diet Coke was to make it taste as much like the mother drink as possible, but without using sugar? If it were not for its distinctive female positioning, would the new Coke-Cola Zero Sugar not make Diet Coke obsolete? The competition between the two has already meant that shelf space has become an issue, with implications for both Coke Zero and Diet Coke. Many retailers will still just stock one or the other. 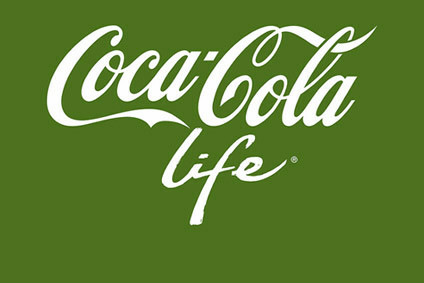 This shelf-space factor has been amplified by the roll-out over the last two years of Coke Life, the part-stevia sweetened addition to the Coke mark.The company has signalled its intention to invest in the newcomer and it looks likely to stay for the long haul. 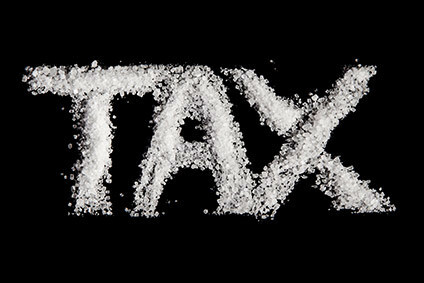 The formula has already been revised to bring down the calorie content in the UK and more recently in Norway, further encroaching on Diet Coke's territory. With niggling concerns over the use of aspartame particularly in the US, Coca-Cola needs to have a strong and established natural stevia-sweetened, low-calorie drink in its portfolio to provide immunity to any further scares over the artificial alternative, aspartame. In the social media age, health scares tend to flare up like bush fires; companies need to have their fire drills well prepared. Diet Coke is undoubtedly a soft drinks superstar, but could it be squeezed out of the Coca-Cola portfolio? Granted, there are advantages to having a strongly feminine brand, look at Evian, but would marketing resources be better channelled towards one low-calorie product, more specifically, the one that tastes most like Coca-Cola? In reality, nothing is ever as straightforward. The one thing I would predict is that if Diet Coke was ever to be withdrawn, then there would be a wave of social media campaigns, petitions and probably demonstrations to get it reinstated. Here in the UK, it was announced several years ago that Heinz salad cream was to be withdrawn, the resulting hullabaloo prompted the brand to be reinstated and sales returned to an upward curve. Consumers are often very sentimental when it comes to food and drink brands, particularly ones with heritage. Those with longer memories will remember the ramifications when the company replaced classic Coke with new Coke back in 1985.